Pasio Online, the online specialist in wellness (life-extension) products, slimming products, supplements, performance enhancers, safe natural muscle enhancers and orthomolecular supplements. High-end vitamins, herbs and plant extracts, superfoods, sports nutrition, smart drugs and supplements for fem and male libido and muscle power - 100% safe. Passion for purity, authentic, honest and affordable. Competitive prices, prompt delivery, personal contact and excellent service. Payment is possible via iDEAL, Bancontact (or GiroPay, SoFort, PaySafeCard) or with a simple bank transfer to our bank account (ING/KBC) via Paypal or even in bitcoins! 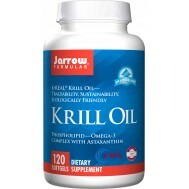 Top quality brands as Advanced Orthomolecular Research (AOR), Best Body, Jarrow Formulas, Mercola, Minami, Natures Way, Power Supplements and Vitals. Specialized in Jarrow ever since 1998.